Q. 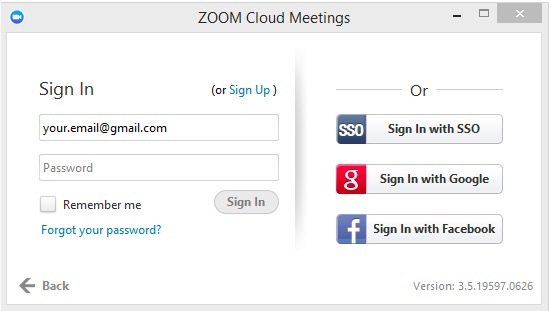 What if I didn't log in through zoom.butler.edu and it's prompting me to log in to join a meeting? If you get a login prompt before you have logged in to zoom.butler.edu (which establishes your Pro account) you might see this login box. Select Sign In with SSO on the right side of the box. When prompted for a URL enter butleru.zoom.us. Use your Butler username and password to log in.